Her childhood was somewhat "normal" but her adolescent years were traumatic. She was made fun of because of her weight and her serious case of acne. She began to drink her troubles away. In 1963, after being voted "Ugliest Man On Campus" by a fraternity, Janis decided to hitchhike to San Francisco with Chet Helms. 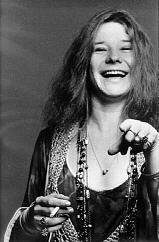 Janis spent the next 2 years of her life sing soul-full blues to the early beat scene. Janis had also had an addiction to speed. One day in 1965, Janis was so strung out that her friends held a collection to buy her a bus ticket home so she could straighten herself up. Janis' stay in Port Arthur was very short for in June of 1966, Janis hitchhiked back to San Francisco at the request of Chet Helms. He knew of and already established rock band looking fo a female singer. It was with Big Brother that Janis reached her fame in San Francisco. 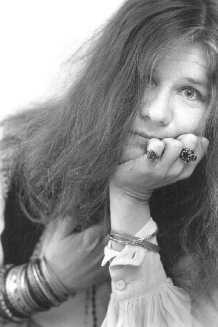 Janis left Big Brother at the end of 1968, to start a solo career. Janis immediately formed a band called The Kosmic Blues Band. They toured around the U.S. and Europe. Thery recorded and album in the fall of 1969. Kosmic Blues was short-lived; in early 1970 Janis dissolved it. 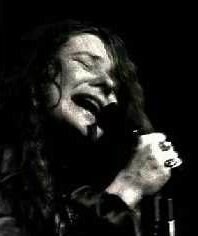 Janis formed her last band in April of 1970. They were called Full-Tilt Boogie. Full-Tilt toured for a few months before going to LA to record and album. Full-Tilt began recording "Pearl" in the summer of 1970. On October 4, 1970, Janis was late for a recording session. She was found dead in her hotel room from an overdose of heroin complicated by alcohol. A Janis Joplin essay written by me. 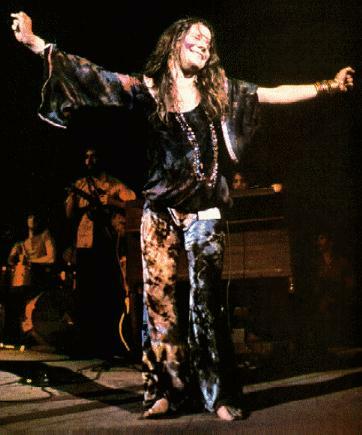 May the spirit of Janis live on in our hearts. This "Janis Joplin Ring" site owned by the Barefoot Hippie.